Charter Flight Group has private charter jets and turboprop flights to Minneapolis. For over 30 years, Charter Flight Group has had a reputation for holding to the highest standards of service, professionalism, safety, and reliability. This places CFG in a unique position for an opportunity to earn your private charter flight business. At CFG, such concepts as safety and service are core to our success and this has not changed from our inception. From the very beginning, we decided to place a premium on hiring professional pilots and flight crews to ensure that policies would be maintained, not just from a sense of duty and obligation, but from a sense of pride. FAA inspects every aircraft used by CFG to confirm the pristine condition of the fleet. 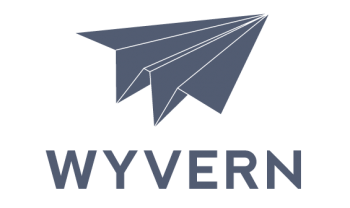 One of the key elements in our strategy to ensure that your private travel, be it by jet or turboprop, goes exactly as planned, is to have private 3rd-party auditors, Wyvern and ARG/US PRO enter regularly to inspect. Carefully, these two companies check aircraft, maintenance records, and flight records for any anomaly that could spell trouble. If the slightest defect is recorded, the aircraft is grounded until it can be returned to factory condition. This ensures near-perfect flights every time. This also ensures that you can sit back, relaxed, knowing that you are onboard the best private jet charters in the world. With all luxury private charter jets, to countless destinations worldwide, not just Minneapolis, and the ability to provide virtually any class of fixed-wing aircraft for your private travel needs, CFG has the best flight you can take. In addition, CFG offers on-demand service, one-ways, and empty legs. Call one of our knowledgeable and courteous private flying consultants to schedule your jet to Minneapolis today. When your private jet flight enters Minneapolis Minnesota, there are literally several airfields from which to choose. This is where your jet air consultant will be invaluable, for there are many considerations in choosing the right airport in Minneapolis for your private charter jet. For instance, you could land at Minneapolis-St. Paul International, which is located right off the I-494 Loop with easy access to both cities, but this airport is often more busy and congested than most private jet charter clients prefer. Some of the options for smaller, though perhaps more accommodating jet airfields include, Flying Cloud, Airlake, Crystal, Minneapolis County, and Anoka County-Blaine (also known as Janes Field). Each of these airports are fine for small jets and turboprop. Of course the advantages of each will depend on your particular circumstances, such as proximity to your destination, and these can be discussed with your private jet charter consultant prior to booking. Once your charter jet lands in Minneapolis it may be difficult deciding exactly what to do first. Even if your private charter flight is for business, it is easy to get distracted in Minneapolis because this is a city that is vibrant and full of entertainments. Everything from some of the finest golf courses in the nation to excellent theaters, museums, amusement parks, historic sites, and major sports complexes abound in the Twin Cities. Given that Minnesota is officially titled The Land of Lakes, one sight that should not be missed in Minneapolis is the Chain of Lakes. As for business interests and development, hold on to you knickers. 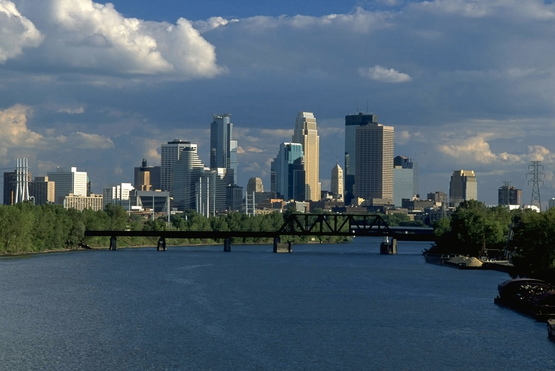 The Twin Cities region is home to no less than 20 Fortune 500 companies, several of which are also in the Fortune 100 club.In addition, many more Fortune 1000 companies make their home in Minneapolis-St. Paul and surrounding Suburbs. As for the economic breakdown, well, the Twin Cities are so diversified that it is rather futile to list them all. 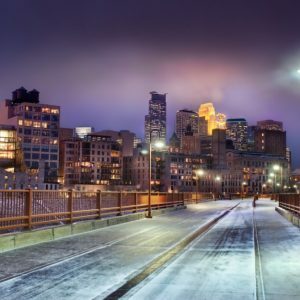 Simply pick some kind of business sector, be it financial, industrial, manufacturing, or whatever and you are sure to find great business connections in Minneapolis. Why Charter Flight Group for Your Private Charter to Minneapolis? Charter Flight Group is here to ensure that your private charter jet flight is smooth, worry-free, and relaxing. Our amazing flight attendants will see to your every need as these are as professional as they come. Our pilots will ensure that your private charter flight is as smooth as possible for they know you may have some unfinished business before the big conference.Your consultant will ensure that all your needs are met in advance so that all you have to do is sit back and enjoy the view.